Easy Piano. Arranged by Dan Fox. Dan Fox Easy Piano. Hymns and Gospel. 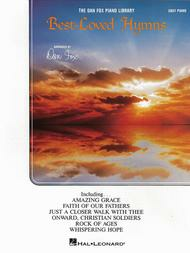 Songbook (simplified arrangements). With vocal melody, piano accompaniment, lyrics and chord names. 48 pages. Published by Hal Leonard (HL.364196). ISBN 1423444094. 9x12 inches. Dan Fox Easy Piano. 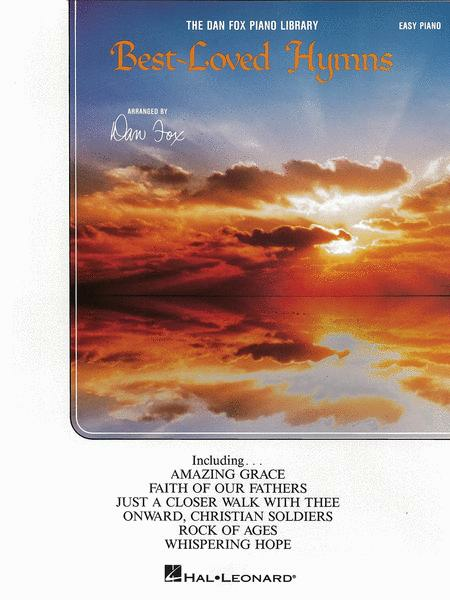 37 sacred songs, including: Amazing Grace * Faith Of Our Fathers * Just A Closer Walk With Thee * Onward, Christian Soldiers * Rock Of Ages * Whispering Hope * more. Excellent product, I am enjoying the challenge as I only started lessons (group) in April. I would have liked to have authors of hymns printed, and names of Tunes. December 22, 2017 Great Purchase! This has a nice variety and they are playable songs. I purchased this book and it is absolutely wonderful. I don't do a lot of playing, but when I do, this book has a lot of familiar hymns. Great book! It was a wonderful book! I love playing all the songs with my keyboard, and adding instrumentals to them! 32 of 71 people found this review helpful.